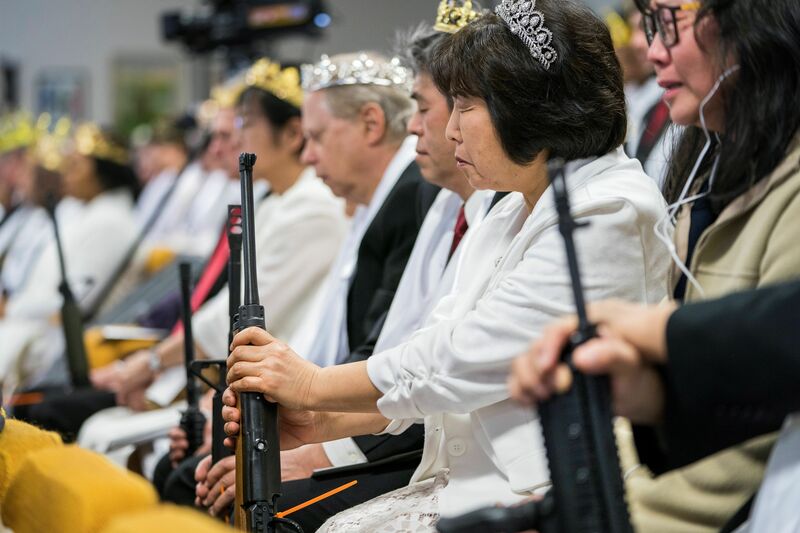 The World Peace and Unification Sanctuary, in Newfoundland, Pennsylvania, believes guns are a symbol of the "rod of iron" referenced in the Book of Revelations. 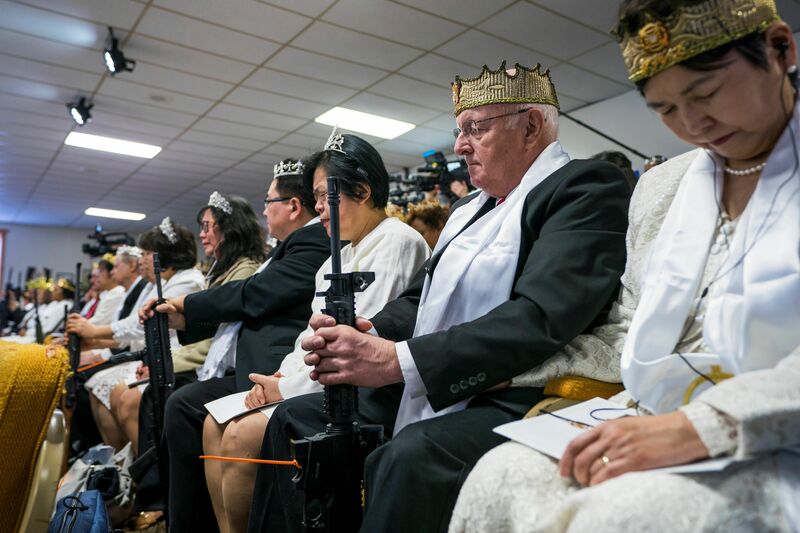 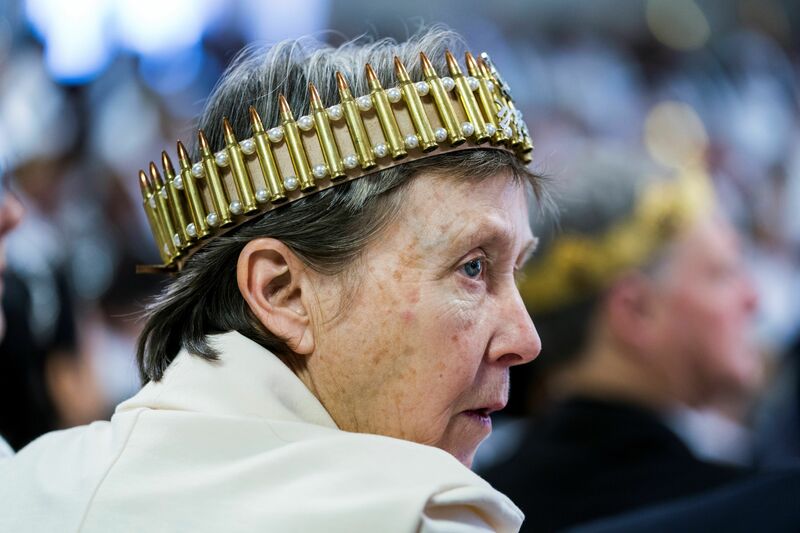 A controversial church in Pennsylvania held a blessing ceremony on Wednesday for hundreds of couples wearing crowns made of bullets and carrying AR-15-style assault rifles. 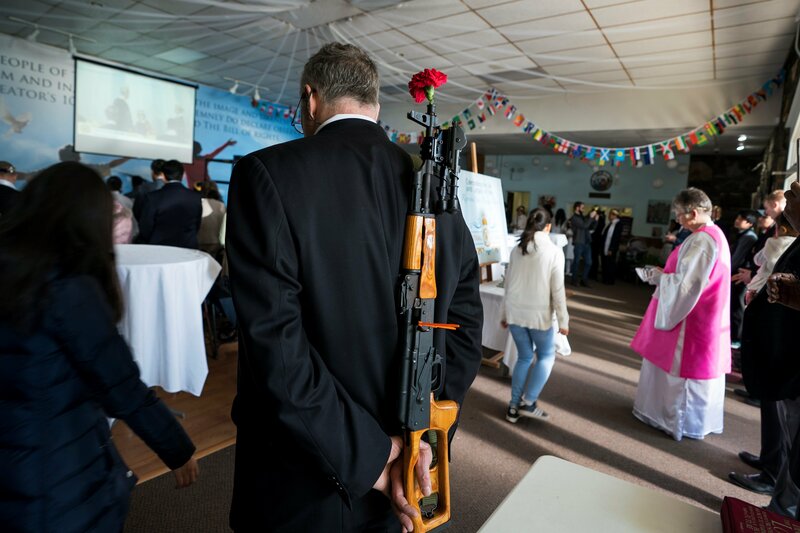 Before dozens of reporters and amid a heavy police presence, between 200 and 300 people, the majority of them Koreans or descendants of Koreans, took part in a ceremony organized by the World Peace and Unification Sanctuary that was performed in English and Korean, as witnessed by an epa photographer on the scene on Wednesday. 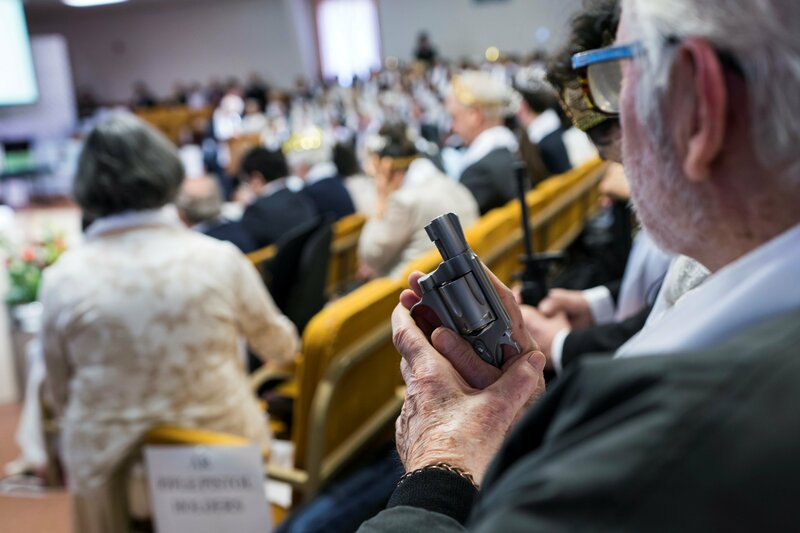 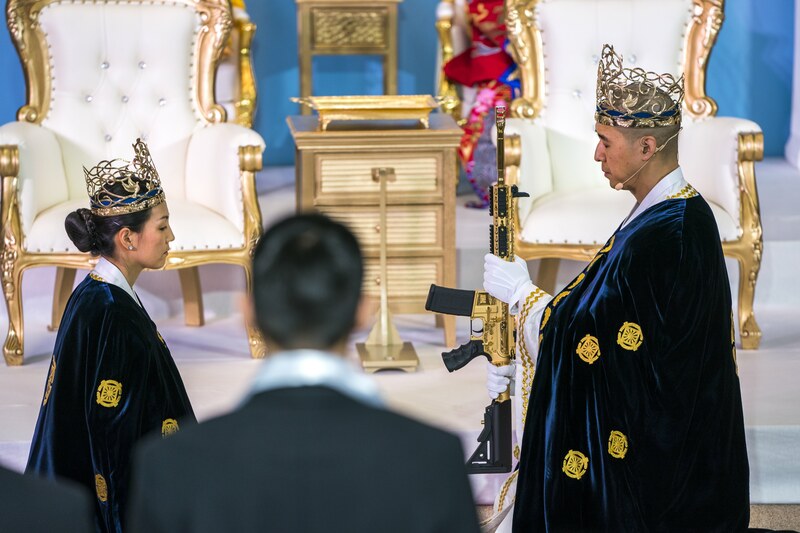 The World Peace and Unification Sanctuary, also known as the Sanctuary Church and a breakaway from the Unification Church, believes guns are a symbol of the "rod of iron" referenced in the Book of Revelations. 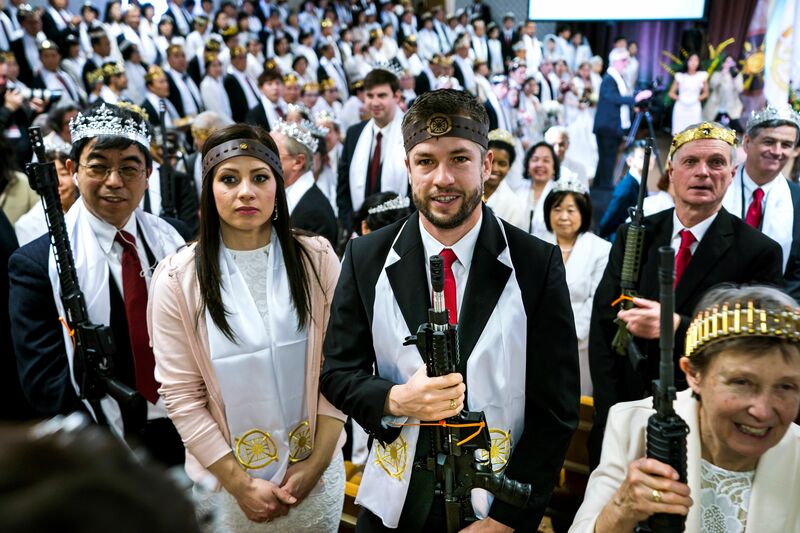 During the commitment ceremony, the Rev. 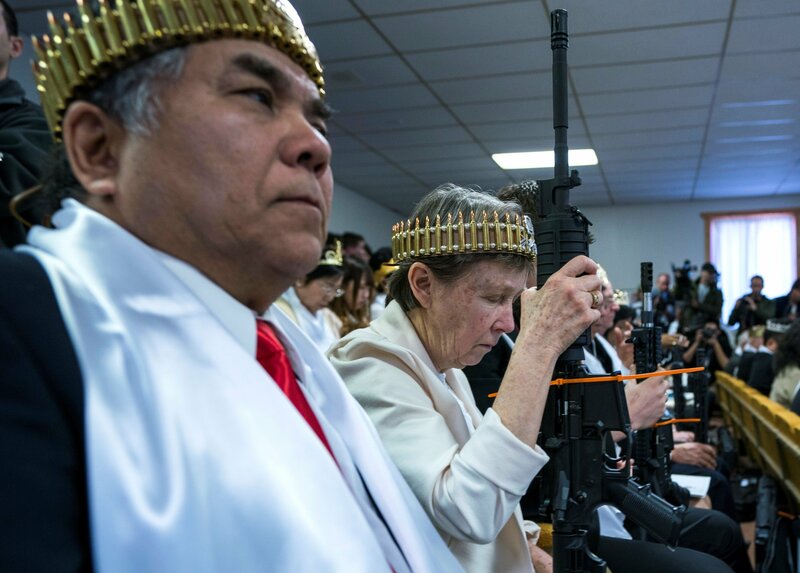 Hyung Jin Moon, pastor of the sect, took a gold AR-15 from his wife, the Rev. 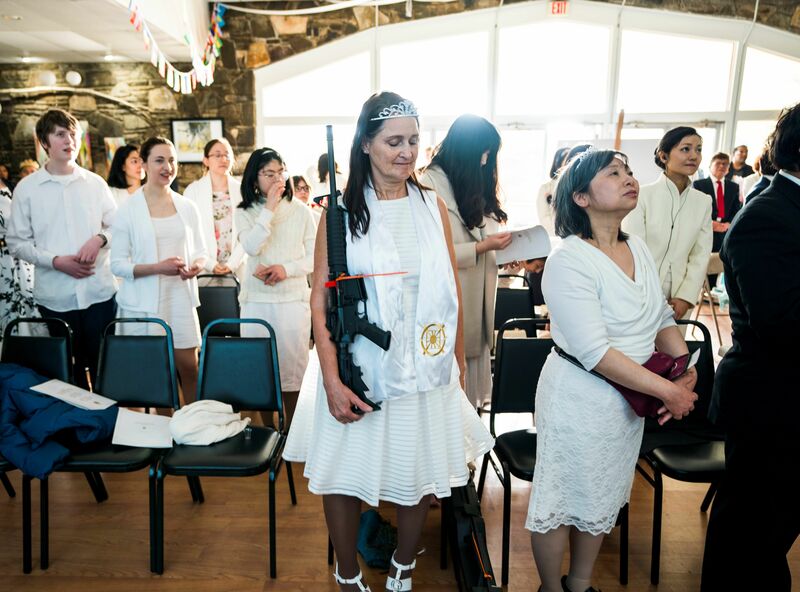 Yeon Ah Lee Moon, as the couples taking part, the majority of them armed with handguns and AR-15s, looked on before drinking holy wine and exchanging wedding vows. 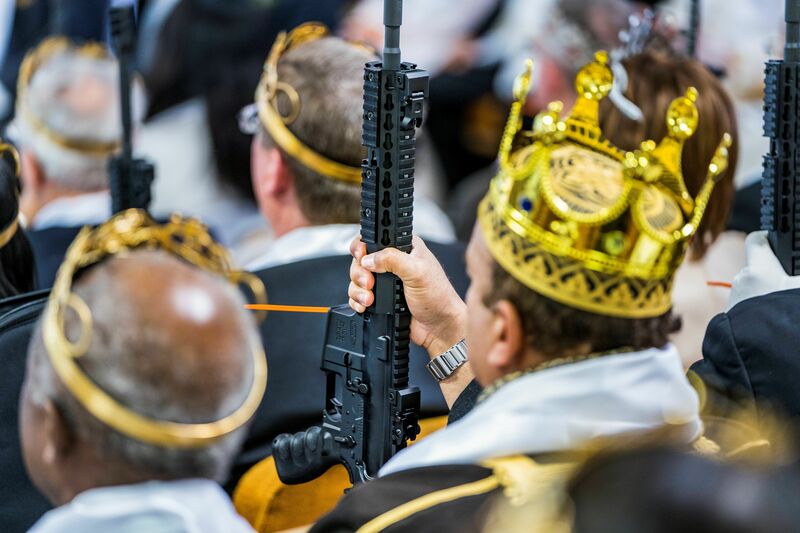 The ceremony was held in Newfoundland, Pennsylvania, just two weeks after the Feb. 14 massacre in Parkland, Florida, where a gunman armed with an AR-15 assault rifle killed 17 people at a high school in South Florida. 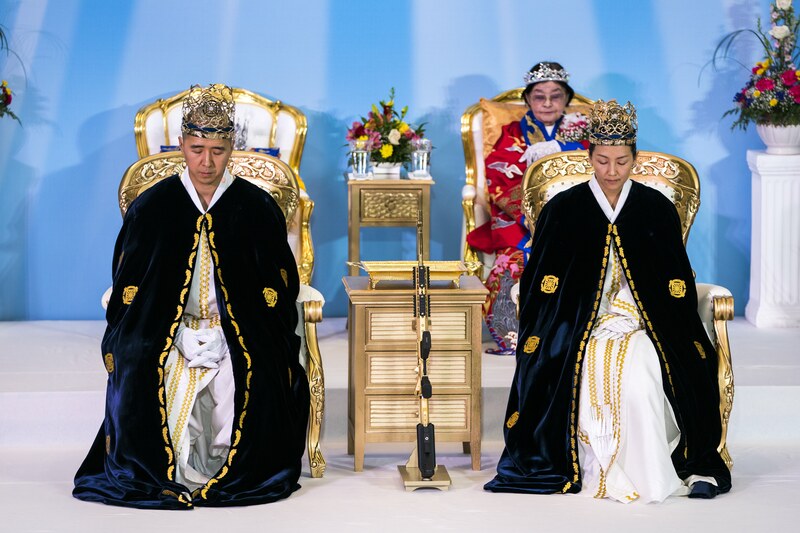 "All heterosexual couples" were invited to the "Cosmic True Parents of Heaven, Earth and Humanity Cheon Il Guk Book of Life Registration Blessing" ceremony wearing a "rod of iron." 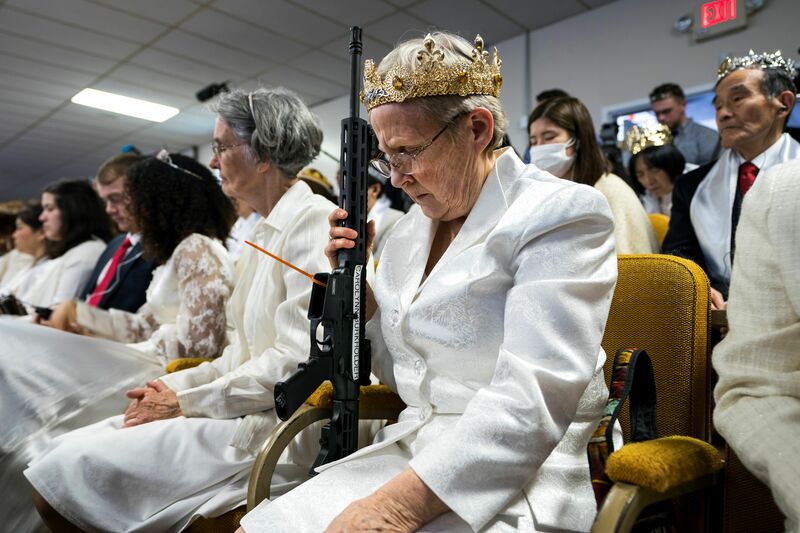 The church defines a "rod of iron" as "an AR15 semiautomatic rifle or equivalents such as an AK semiautomatic rifle." 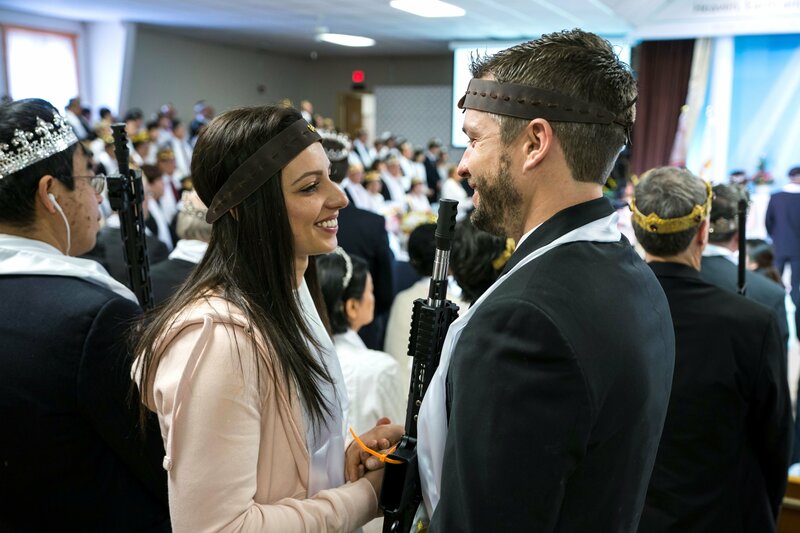 "If unable to purchase and legally transport such a 'rod of iron' because of laws barring the purchase of such weapons, or other reasons, couples are invited to purchase a $700 gift certificate from a gun store, as evidence of their intent to purchase a 'rod of iron' in the future," the church said in a statement. 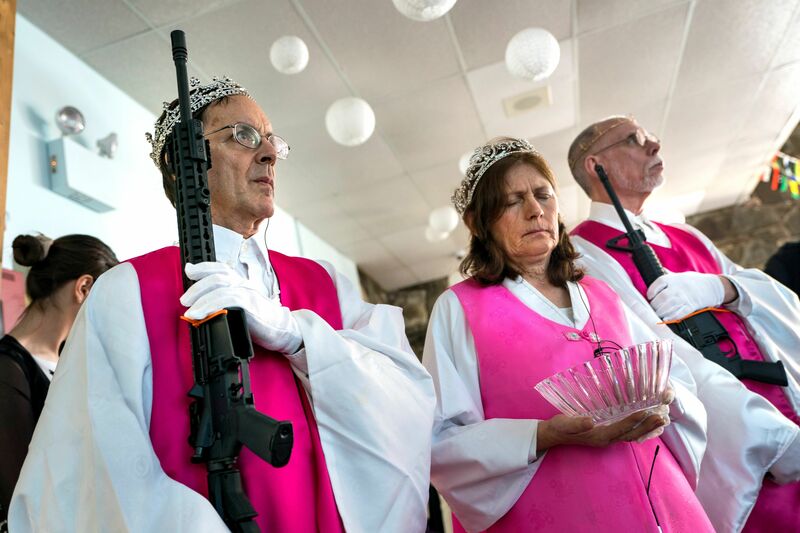 The Sanctuary Church considers that having an assault rifle reflects an "intent and ability to defend one's family and community." 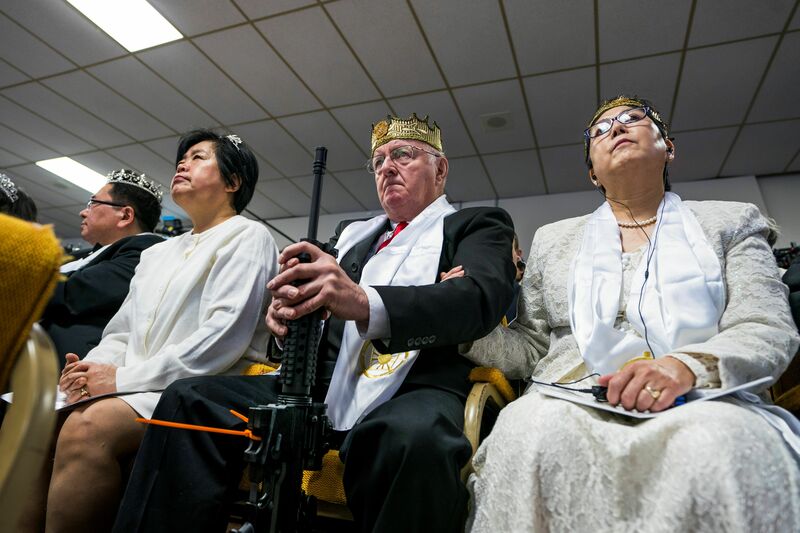 In response to the ceremony, the Wallenpaupack Area School District cancelled classes on Wednesday at a nearby elementary school and sent students to another facility.